When we went to max restaurant recently, i skipped the salo at gulaman for a change. 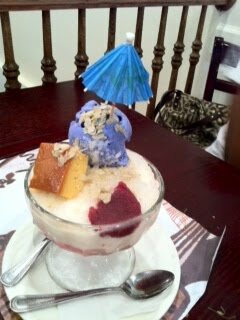 I got this halo-halo instead for dessert. It was perfect after a tennis game on a hot and humid day. Yummy halo-halo! My daughter came to work with me today. Since it is summer break for school kids, I drop her off to the baby sitter before going to work. She stays there until her father picks her up around 3 pm. Today, I gave her a break by bringing her to my job. She can actually come here every day but when she runs out of activities to do, she gets bored. After we left home, our first stop this morning was at McDonalds to buy two fruit oatmeal for our breakfast. 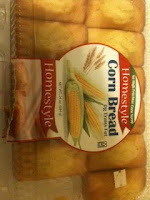 I tell you, this is my family’s favorite food from MD. As I was paying, I cannot find my debit card inside my wallet. All of a sudden I felt uneasy because it has been three or four days since the last time I used it. As I do my recap, I remember I bought some valances for windows and it was hubby who lined up at the register. I cannot recall if he handed it back to me or not. The more I got uneasy because when I called hubby, the debit card was not inside his wallet too. Hayyy, I have to wait until 4pm when he gets home and search for it. After almost the whole day of being uneasy, finally he called. He found it still in his shorts pocket inside the hamper bag next to the washing machine. Had it been another day longer, I would be needing a replacement card by now. I'm thankful it was just misplaced not totally lost. I got this email from one of my favorite mexican grill restaurants. 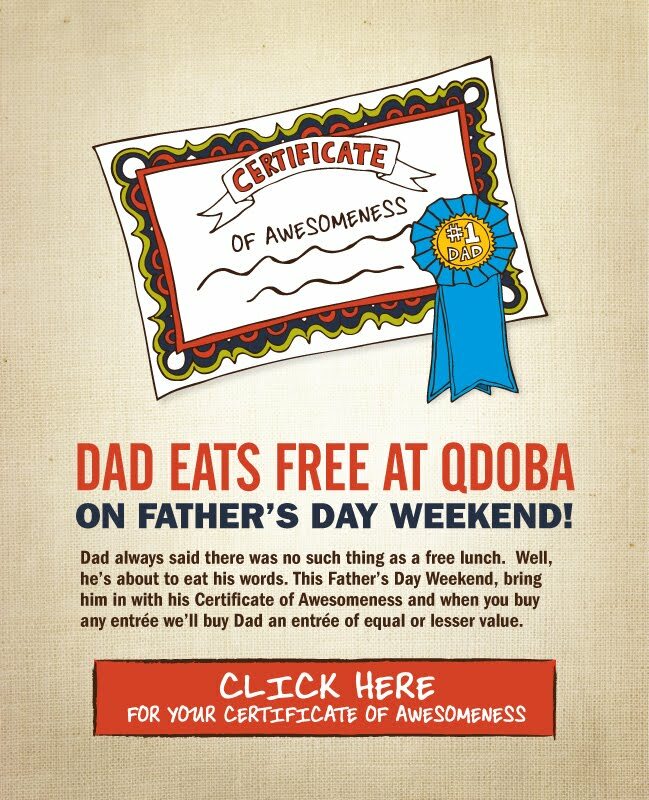 Qdoba is having a buy one get one deal this 4th of July weekend. We will be there this weekend. Don't forget your coupons. As I was saying on my last post about our house hunting, my friend fell in love with one house we went to. This is a house located in our area. It has a huge kitchen with an island and a breakfast nook. Right above the island is an enclume pot rack with only few pots hanging. It is a feature in the kitchen that made it more appealing but my friend plans to get the bigger enclume pot racks if he buys this house. There are 5’ enclume potracks in chrome that are suitable for large kitchens. These racks can hold large pans and cooking utensils making them accessible when you are cooking. My friend is very excited about the developments on his house hunting. He has been in contact with the realtor almost everyday. I am not sure if they already submitted an offer but for sure they will do it before the week is over. I cannot wait for the day the we become neighbors again. Yes, the rumor is true. Caramel Sundae is back at McDonalds but with changes. The flavor is still the same but a little more money than the other Sundaes. It's not a buck anymore. This is what it says on my receipt when I purchased 2 caramel sundae this noon - 2 plain sundae $2.00, 2 caramel dazzle $1.00 plus tax, a total of $3.21. As long as it's back, the $1.50 each is still alright. I have a nephew who lives in Los Angeles and he just graduated from high school last Tuesday. He was the president of the student body and as president he spoke in front of the 500 plus graduates during the ceremony. This was the moment I wanted to witness but I cannot make it because of work. As a graduation gift, I was planning to give him a new skateboard but he sent me a message that he wants the shepard fairey prints particularly the shepard fairey michael jordan collection. I admit, I have no idea what he is talking about so I went online to check it. I almost got choke when I saw the price of an obey giant print. I called him right away. He was laughing over the phone but he was serious about his gift. To make me not feel so bad at all, he suggested that I can split it with three other aunts who still do not know what to give him. I felt relieved when he said that. I am going to send my share then they can do the buying for me. How can we say no to someone who is lovable as him and who received 5 awards and a scholarship, right? He will be getting his gift soon. Congratulations for a job well done and good luck for college. Did you hear about this new food craze? A fried cool-aid!!! I only know cool- aid as a drink but somewhere in a fair at San Diego, the deep fried kool aid created by "chicken" charlie boghosian is selling like hot cakes. It is shaped like a donut hole and it comes in five per order. Wish I could taste one. My favorite cool aid is grape. The first time I saw a Kia Soul was in a TV commercial. I right away said that this car is going to be a hit. Not because of its cute commercial and the popular hamsters driving the car but a very practical one when gas prices are going higher and higher. This car is just so cool and what a catchy model for such a cute car, right? I have actually drove the Soul when we went for a test drive at a car dealer last Memorial weekend. We were there for our regular Kia oil change and it so happened that we saw a friend checking their new car inventory so he let me drive his Soul around the block. It is a perfect car for driving around the city. I would love to have that car in exchange of my V6 engine van but my baggage will not fit anymore. Maybe for the daughter 10 years from now. Drive the Soul, it is so cool! I got this email from Qdoba, a Mexican restaurant treating dads this father's day weekend. I remember when i bought my first car, i spent around 6 hours at the dealer. Once you step into the dealership, you are greeted by a sales person who will readily lead you to his desk. This is the start of the negotiation and to me the sales person has no other goal but for you to come home with a brand new or used car. Today, buying a car has become so easy and convenient. You can buy, search and browse inventory, get you credit approved, estimate your payment, schedule a test drive or know your trade in value online at http://www.napletonhonda.com, the St. Louis Honda dealer in St. Peters, Missouri. The honda dealer blog at http://www.hondamashup.com also helps future customers in knowing the specifications and details of the car you are planning to purchase. Just click on the different categories located on the website. If you are planning of buying a new or used vehicle, do your homework first before heading to the dealership. Avoid the surprises; educate yourself and know your options ahead when you are buying a car. The savings are just in your fingertips. Make it easy for you and good luck on your next car purchase. I subscribed at panera's email service so every now and then they send me email of what's new or deals available. Few days ago, i got this new soup in their menu. 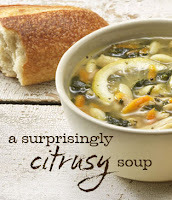 I could see in the picture slices of lemon in the soup. Hmmm, never tried/had lemon in my soup but lemon juice of course yes. It is something new...got to try it. I have been working from desk to desk today because our office looks like under renovation. Probably, that could be the better term to use. First, there were some IT people who came and transferred our servers to a different location. I heard that the owner decided to get a colocation plan for our servers for security and reliable back up of our data. At first, the owner was offered a managed hosting service but since we already have our own servers, he decided to just go for a colocation. It makes sense also because the secretary who has been sitting next to the servers has been complaining about the temperature brought by the machines every day. I am sure this transfer would create more room at this main branch. Hubby's brother went home to the philippines and he came back with all these goodies for us. I personally ordered for chocnut (my favorite) and hubby he likes the crab and corn soup mix. There are tamarind candies, polvoron, sweet potato chips (something new), delicacies from pampanga, shrimp kropek and a lot more. Thank you so much guys. Today is another planned lake day but it looks like it is going to be rescheduled. I woke up with a very cold and cloudy day and it has been raining on and off since yesterday. I did not even see a break from the sun. It is a nice day (not warm) actually if you do not have plans of going to the water. This is my chance to do some cleaning at home and maybe go shop for some cheap bridesmaid dresses later. It is for the stepdaughter who is part of her cousin's wedding this summer. We are also invited. I received the wedding invitations in the mail yesterday. It is also a day to go to the oriental store to buy seafood and vegetables. We do not go there every week but this weekend is our food shopping weekend. I already did my grocery at our local supermarket last night at around 11:00 pm. Yes, i go very late so that the supermarket is not crowded. I want everything be done early then rest in preparation for another work week by tomorrow. Here is our photo at the Max Restaurant last friday. My nephew is seated right across with my daughter next to him. The two guys are his co-workers at the boat. Hubby took the photo. Bon voyage guys! He does not know my phone number. We have not seen each other for more than ten years. Now, he works as a seaman traveling around the world. We communicate via the popular networking site. Last Tuesday, he posted as a status "hello new york." When i saw it, i right away replied telling him come to jersey and I will pick him up. He did not get my message until Thursday night. So finally, we ( me, hubby and the daughter) picked him up together with his friends at the post jersey yesterday night. As soon as I see him, I could not believe that the little boy i used to take care years ago is now a grown up, an income earner for the family. He told me that since his dad passed away he has been looking for ideas to pay for college. He is sending his little sister to school right now. She is studying to be a doctor. Although they have been doing a scholarship search, the most they can get is 50% free tuition excluding books, dorm and allowances. He said that it is a big responsibility but he is determined to work it out in every way he could. The time was just limited to catch up on everything but it was really good to see him. We treated them to dinner at the Max restaurant then brought them back to the port around 11:00 pm. They will be on duty from 12 midnight to 6 in the morning then proceed to Bahamas. I do not know when they will get the chance to stop over here in new York again. The time spent together was short but it was indeed very sweet. I don't have a BJ's card ( mine is Costco) but BJ's has this corn bread that i love so much. My aunt is so sweet to be buying me a pack every time she goes to BJ's for grocery shopping. Today, i got home with this on the dining table. Thanks auntie. Summer is still two weeks away but we are starting to feel the scorching heat. Today is the first day to reach the 100 degree temperature. When I stepped out to buy lunch today, my temperature registered at 105!! Because I parked my car directly under the heat of the sun, I can hardly hold my steering wheel due to heat. For my lunch, I went to a Spanish restaurant near my job. I was only 10 minutes inside the restaurant and when I went back to my car, I found Herbalife flyer stuck under my windshield. As soon as I got the paper, I looked if the harbealife distributor who put the flyer on my windshield was still around but there was no one. I just want to know if they have a distributor close to where I work. I have known herbalife since I was still in the Philippines but we lost contact our agent and my mom has been asking me if I can get some for her and send them back home. Maybe I could just go to herbalife online and get more information. The forecast for tomorrow is going to be hotter than today. This time I have to make sure I bring my lunch to work. I am not stepping out of the office by lunch break anymore. It is so hot out there. 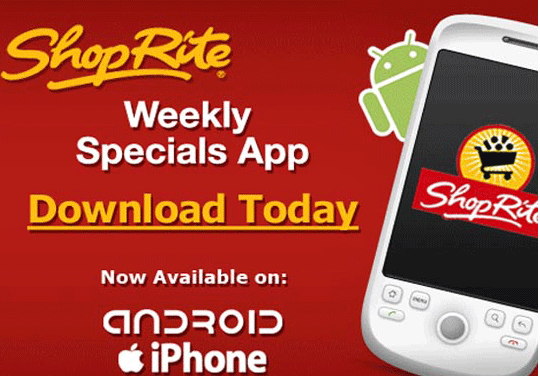 My favorite super market or grocery store has it's own iPhone or android app now. I can make my grocery list and browse the items on sale through my iPhone. Gone are the post its where i put my shopping lists. My grocery list is so techy now! There are two holidays that we always look forward for big discount shopping. One is the Memorial day weekend sale and the other one is the Labor Day weekend sale. So during the last Memorial Day weekend which was a three day weekend, we started our shopping Saturday. First on my list was some nursing scrubs that my friend wanted me to buy for her. She just sent me a link as a sample of what she wanted. This is what she ordered: http://www.blueskyscrubs.com/categories/Scrubs/Scrubs-for-Women/ . I was not able to find the exact style but one that is very similar to what she emailed me. Of course, a Memorial Day weekend cannot pass without a picnic. It happened that Sunday. The malls are closed here in our town on Sundays so we headed to the lake for a get-together picnic. The lake is situated at the foot of a mountain where you can go swim, fishing and boating. It was refreshing day; being on a very quiet area away from the city. The kids had a grand time too. Here is a picture of the lake we went to. A friend on facebook had a status update saying he wants an ube halaya and where can he buy it? Somebody commented a store that sells it. 3 hours after, my friend posted a photo of ube and macapuno ice cream with ube halaya on the side. I'm sssooooo drooling!!!! I gotta find it at our Filipino store tomorrow! Today is supposed to be the start of my class at the campus for a subject I took besides the online courses I have been taking but apparently there were not enough students who enrolled for the summer so they ended up cancelling the course and rescheduled it for the regular semester. This worked to my advantage since I am already having problems with my work and school schedules. This is why I love online study very much. Since I started with my online classes, I feel the need of learning more applications that I know I will encounter as I go forth with my studies. I remember when we had a report that requires the use of excel, I have to buy a book to educate myself on how to use the application unlike at CoursePark learning networks, you can learn courses online at your own pace. They also have online learning system for business who wants to train their employees or have your company courses built that be sold at the coursemarket. If you want to take a peak of what CoursePark can offer you or to your business, go to their website at coursepark.com. Check also the free courses and more than 3500 courses available. To join is absolutely free. Click here to register now. It is Monday, the first day of the work week again. I came a little late today. I overslept quite a bit because we had visitors at home last night until very late. When I got here at work this morning, my office manager was so happy to see me. To myself, I said, "Why?" to find out after I clocked in that I was the only one who showed up to work at my department. Also, two other people are out plus the big boss is in the city to attend an invitation from our advertising agency. This is the year that my job is going full blast with our online campaign and this advertising agency is doing a great job so far. When I started at this company more than ten years ago, our campaign was purely through print, then we tried local TV and now we are going global through the internet. Our website hits have been increasing since then which makes my boss strive hard until he gets his target. For this summer, since this will be the time to do cookouts, the company is planning to do a cookout at our parking lot on the Friday before the 4th of July weekend. This is intended for all our customers and vendors that come at our branch and also to display our new units. A lot of our vendors gave their intention to bring their merchandise for our customers to check. Classes will be held simultaneously at our seminar room inside the building with speakers from different manufacturers. This is our summer version of the winter trade show. We hope for its success and the start of many years of summer cookouts in the future. Today is National Donut day and in celebration of the this holiday, Dunkin Donuts and Krispy Kreme are giving away free donuts. In Dunkin Donuts, you have to buy a drink to get a free donut. Check their websites for details. I love Krispy Kreme but there's none close to where I am right now. Dunkin Donuts is everywhere. I am not sure if I am stopping by for a donut...hmm, maybe yes. It's breakfast time...A donut and a coffee is perfect to start my Friday. TGIF! When I was still in the Philippines, I always hear the single ladies say, “ I want to be a June bride.” I do not really see the significance back then because June is a rainy month in Manila. How can you be sure that it will not be a raining on your wedding day? Now that I am here in the U.S., I can see why June is a popular month to have a wedding. First, it is the start of the summer and flowers are in full bloom. Some garden venues have flowers like what the Toledo wedding florists have. I am sure wedding florists in Toledo are busy during this month with their beautiful floral arrangements, accents, bouquets and decorations. Are you planning to have a wedding soon or be a June bride? Make wedding flowers Toledo a part of your wedding plans by calling Sylvania Florist at 419-885-7033. A bride would only want the best on her wedding day and Hafner Florist will help you make your day special and memorable. I got a free coupon of the strawberry lemonade but i missed the deal so last saturday i tried it. The taste of the strawberry is overpowered by the lemonade. It taste like real lemonade with an after taste. 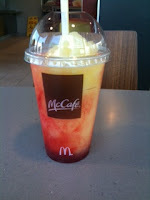 I had it on a hot and humid day so I did not mind the sourness at all. Just had a brain freeze tho!